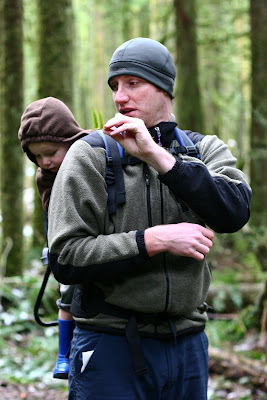 Our (my) goal is to have a nice family outing each weekend, preferably in the great outdoors. 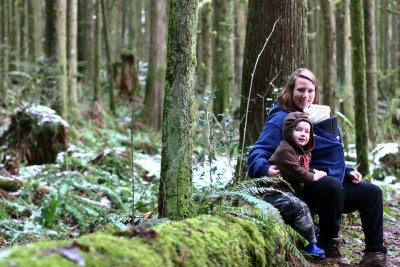 Today we took the Albion Ferry (which Kai loved) to Golden Ears Park. Who knew they closed the park in the winter? We just parked outside the gate with everyone else and walked in. We wanted to `hike' Lower Falls but it was a billion km's away so we just did the first part of the hike the Mike Lake. It was so nice to be outside!! 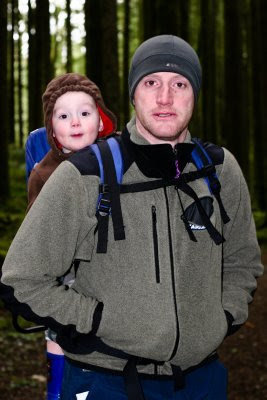 I had Koen in the bjorn and Gary had Kai in the backpack. Good times. We only hiked for an hour but it was fabulous. Fabulous. Kai's highlights (according to him): hearing the cars go onto the ferry and making the thump, thump sound. Also, going home. 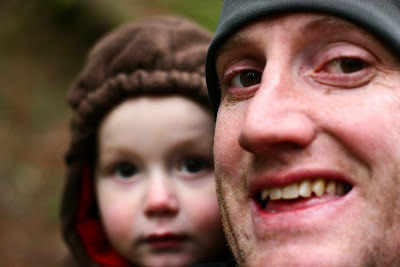 This morning, Kai said `Daddy, I love you but I don't want to go hiking'. We were unsure if Kai would actually fit in the backpack OR want to go in it, but he did! I think it is good up to 50lbs. 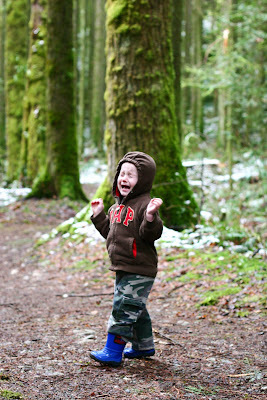 Kai wanted to pee in the bushes (which I told him he was allowed to do on hikes) and gave it a good try). 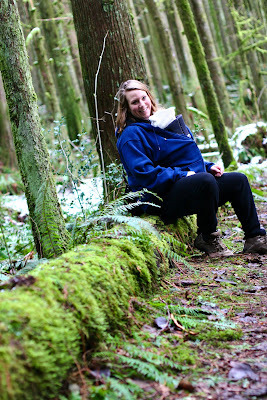 Koen's highlights: being fed on the ferry and being all warm and snuggly on the hike (he slept the whole time). Well, my friend Leah should be here in a minute to throw the football around so I better get ready!!! Have a great weekend all. awesome pix! 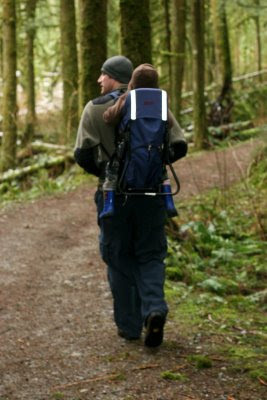 inspired me to get my family hiking! great idea!!! 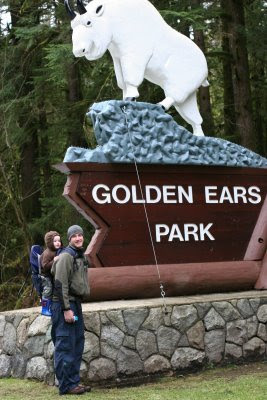 I love Golden Ears! It's soooo beautiful there. Man it looks like a cold day. Love the close up of Kai and Gary. Glad you guys got out.